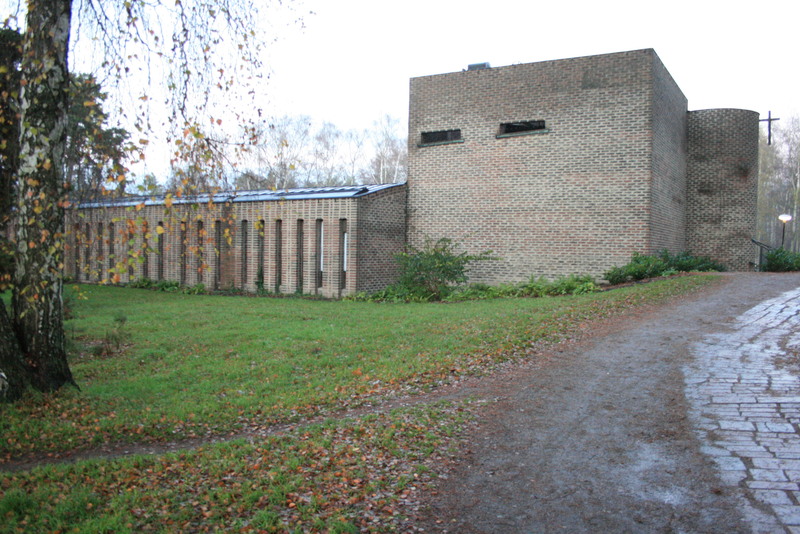 I had the privilege to visit Stockholm and in particular the St. Marks church by Sigurd Lewerentz the other day. This is one of the iconic buildings that I have studied and examined in books and photographs for years. It’s interesting to experience buildings or cities that are so recognizable through imagery/film. It always feels familiar but there is invariably something to discover all the same. Your preconceived idea of what the place is like is almost always modified in some way. This is of course what happened on my visit to St. Marks. I won’t attempt to write a review about this great building since there are already many and probably far superior then mine would be, but I will talk about what (or 1 of many things) moved me. It didn’t surprise me that I would be fascinated by the brickwork in the church, that is one of the many reasons why I love this building so much. 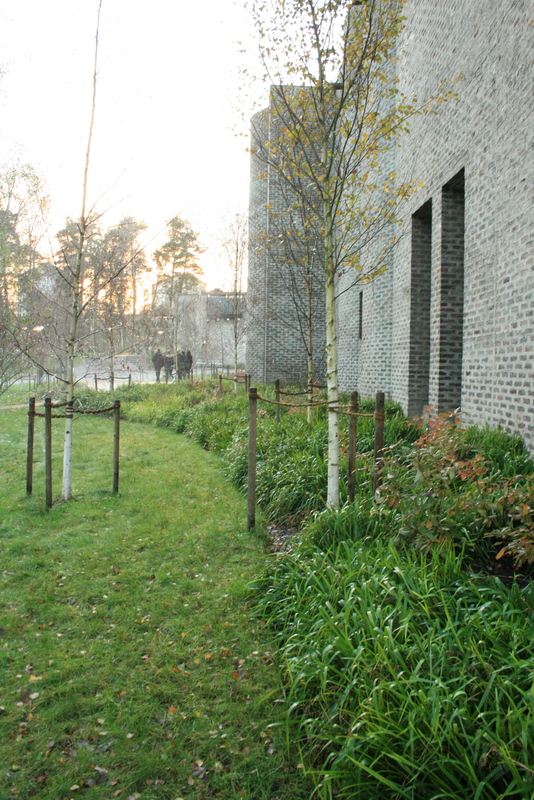 But seeing it in its context with the surrounding birches was really an experience. The beautiful light of the november dusk didn’t hurt either. 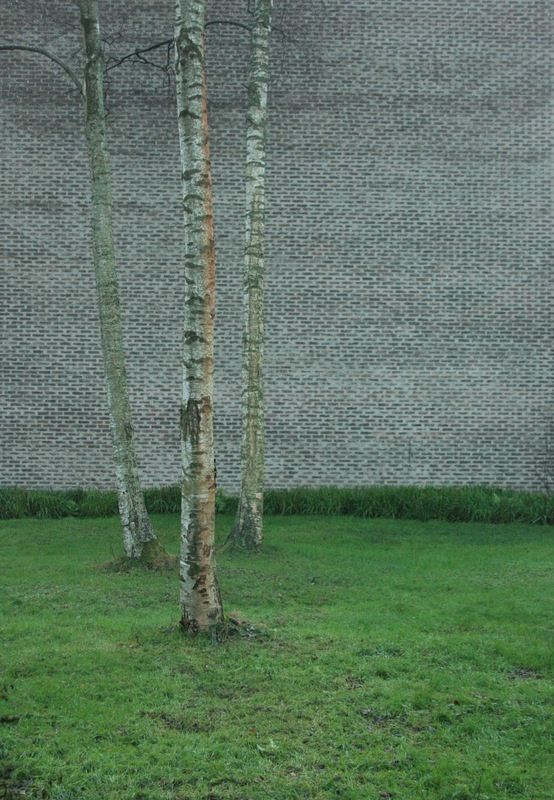 The “skin” of the birches seen against the brick facades really demonstrated the sensitivity of the designer and the intention to ground the building and make clear its relationship with the surrounding elements (the trees). This is achieved among other things with the irregular texture of the mortar in between and on the brick and the irregular build-up of the bricks that create a sort of movement in the facade. The building makes you appreciate even better the beauty of the bark. As a consequence of this ode to the trees one starts to appreciate them as a structure that is a part of the design. These elements together (the existing trees and the insertions of Lewerentz) make the place better, and going to this place and thinking about these things made me feel better. I’m so glad that you reminded me of this building (and that you feel better!) I visited St. Mark’s 3 years ago, in deepest winter – and was also impressed by how rooted the building felt in its surroundings. When I visited the ground was frozen and dusted with snow – I was struck by the colour of the buildings exterior and how its cool and deliberately ordinary palette sat so easily with the surrounding landscape. Lewerentz’s command of his palette is extraordinary. 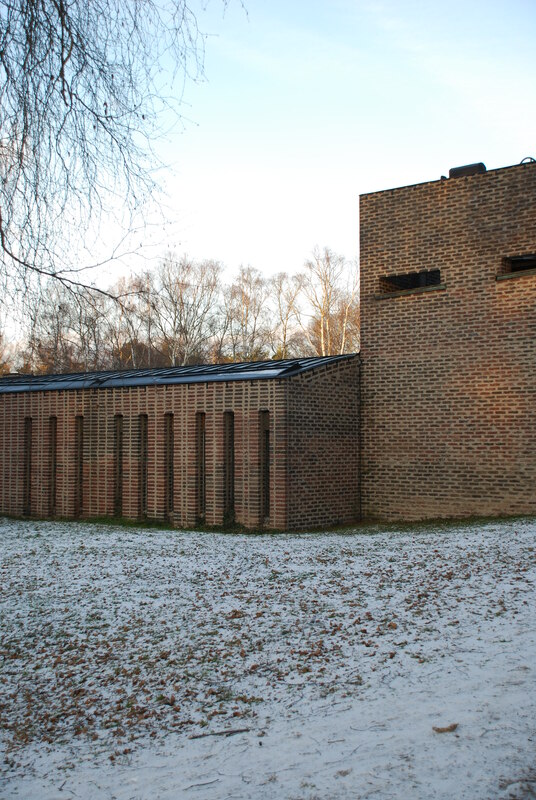 Sigrun has already described the brickwork of the church itself – the brickwork carried on a silvery sea of mortar, lends the walls a monolithic character. Perhaps its says something of my character that I was particularly drawn to the building closest to the road, housing the church’s offices and the bell tower… Here the ubiquitous brick is stacked in neat columns, framing a marching row of tall, narrow windows. This building shields the entrance to the main church from the road, forming a courtyard between. I really enjoy the straight-forward, gestural quality of the form – the entrance from the courtyard is signalled by a wooden portico and the side elevation undulates, bulging outward to form a bell tower. What i found most interesting is how, despite, or perhaps enabled by the uniformity of the palette, the outer surfaces of the building project meaning and define spatial and programmatic nuances within and around the building.